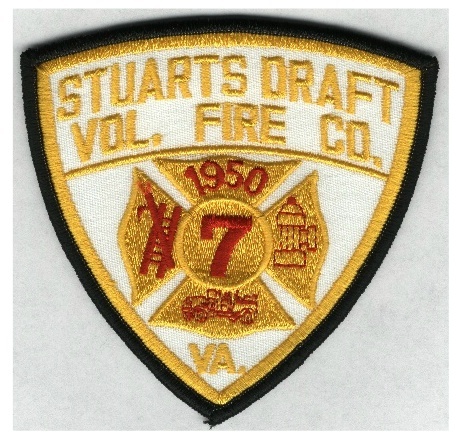 The badge of a firefighter is the Maltese Cross. The Maltese Cross is a symbol of protection, a badge of honor, and its story is hundreds of years old. When a courageous band of crusaders, known as the Knights of Saint John, fought the Saracens for possession of the Holy Land, they were faced with a new weapon not known to European fighters. It was a simple but horrible device of war. The Saracens' weapon was fire. As the crusaders advanced on the walls of the city, they were bombarded with glass bottles containing naphtha. When they were saturated with the liquid, the Saracens threw flaming torches into the crusaders. hundreds of knights were burned alive while others risked their lives in an effort to save their kinsmen from painful fiery deaths. Thus, these men became recognized by fellow crusaders who awarded each other with a badge of honor similar to the cross firefighters were today. Since the Knights of Saint John lived for close to four centuries on the island of Malta, in the Mediterranean Sea, the cross came to be known as the Maltese Cross. The Maltese Cross is your symbol of protection. It means that the firefighter that wears this cross is willing to lay down his life for you, just as the crusaders sacrificed their lives for their fellow man so many years ago. The maltese Cross is a firefighters's badge of honor, signifying that he works in courage - a ladder rung away from death.